Jackie Venson is a freak … and I mean that in the nicest way possible! Firstly, take a listen to her gorgeously fluid guitar licks on tracks such as What I Need or I Don’t Cry from her debut album The Light In Me. Then try to comprehend the fact that she only started playing guitar four short years ago. It’s insane. 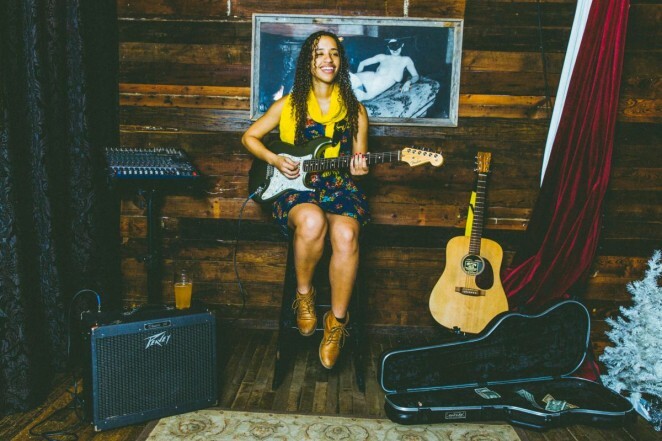 You can attribute some of the rapid learning curve to the fact that her father Andrew Venson, is a 40 year veteran of the Austin, Texas music scene but there are many other musicians out there who have toiled for decades and still don’t have half the musical smarts of this 25 year old guitarist. Add the fact that her beautiful, soulful singing voice has been compared to Joss Stone and Amy Winehouse, plus she’s also an accomplished songwriter and you begin to realise that Jackie Venson is something very special indeed. 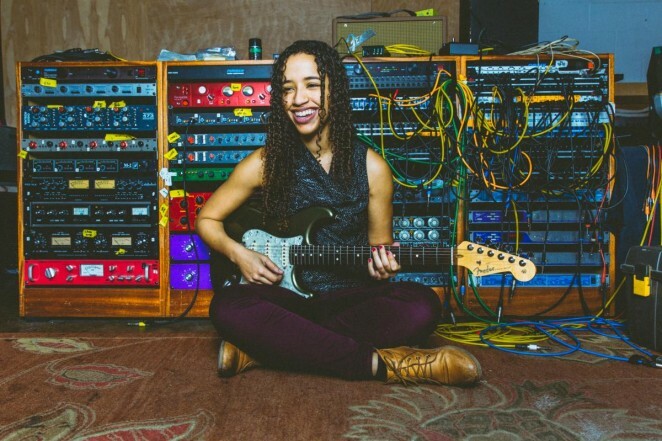 As for the instant affinity with the guitar, as well as her dad’s influence, Venson puts it down to the years she spent at Berklee College of Music studying piano, where she received her Bachelor of Arts in Composition and Studio Production. 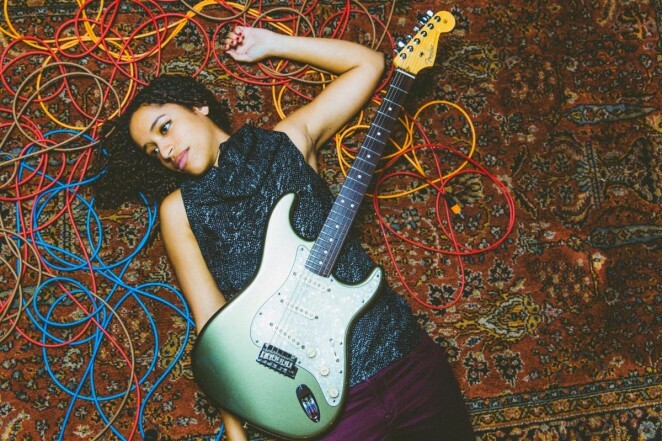 In a relatively short period of time, that new instrument, the guitar, has steered Jackie Venson’s career through two EPs, a full length album, countless interstate American tours and there’s a European connection which will see her head to Germany and beyond for a second year running. Australia is next on her hit list! “It started off with my friend having a connection there,” Jackie says of her German link . “Then my friend ran out of funds and couldn’t go and I had the funds and thought, I’ll go anyway. I just went. I went to a blues jam and ended up meeting everybody I could need to meet. It was complete luck. I’d looked into the scene and found out they were big on blues, so I wasn’t completely in the dark when I bought the plane tickets. I did blues jam after blues jam and met everybody. Now I am going back and I have landed 3 festivals. It was crazy, everything happened exactly how it should. Touring has been the most eye opening experience. Going outside of America was just nuts … it blew my mind. I knew that America was like super involved with themselves, just like any country, you get involved with your own culture. I knew all that but it is different to know it and then to see it. I got to go to Berlin and get out of the American vibe and get out of the whole culture of America and it was the most life changing thing ever. By the way, there are a lot of Australians in Berlin. Three out of five people I meet per day would be Australians. It’s cool though, we chill. I guess I am an Australian magnet,” she laughs. Next up, Jackie Venson has a March tour of North Carolina before she heads to Berlin and Poland in June. Upon her return she hopes to reconnect with her hometown of Austin, an audience she feels she’s neglected. “I really need to start caring about my hometown,” she tells me. “I cared about it for a while but then I got to see the rest of the world. The world is so huge. So I am trying to narrow it down a little bit, stop seeing the big picture, although that is still important. But the focus is to try to get more of a following in my home town.” Hopefully, Jackie will then utilise her Australian connections to come down and play her soulful brand of blues for us too. We fire six more quick questions at Jackie on video!